Dzokhar Tsarnaev trial: Jury selection begins. 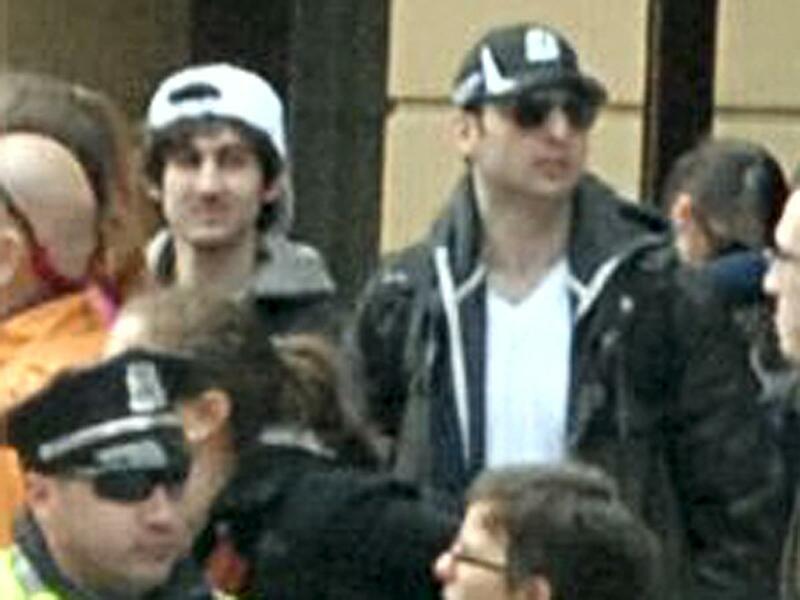 Dzhhokhar Tsarnaev, left, and his brother Tamerlan, who was killed in a police manhunt. Over the next three days, about 1,200 people will be called to federal court to be considered as potential jurors. The first 200 were given initial instructions Monday by Judge George O’Toole Jr. Twelve jurors and six alternates are to be selected. The selection process is expected to proceed slowly because many Boston residents are already familiar with Tsarnaev’s case and may not be considered impartial; Reuters reports that the pool of potential jurors was already narrowed once via a mailed questionnaire. (Judge O’Toole has rejected defense requests to move the trial to a different location.) Tsarnaev faces the death penalty in the federal trial, and prospective jurors will also be asked if they would be willing to hand down such a penalty. Testimony in the trial is expected to begin sometime around Jan. 26, the Boston Globe writes. Tsarnaev is also charged with killing Massachusetts Institute of Technology police officer Sean Collier while attempting to escape apprehension after the April 15, 2013 bombing. Tsarnaev’s brother and presumed co-conspirator Tamerlan died on April 19, 2013 after a firefight with police. Dzhokhar Tsarnaev was captured shortly thereafter. Correction, March 19, 2015: This post originally misspelled Dzhokhar Tsarnaev’s name and misstated that none of the federal charges against Tsarnaev are related to the death of Sean Collier.